Lake/Pond / Water Feature Creations. At this time of year, most lawns are looking far from good. Gone are the lush swards of emerald green grass of last year. Unless the weather stays filthy and cold in which case it is better for milder days. Feed with a spring lawn feed to encourage new growth(these contain a high nitrogen content to encourage leaf growth), mow regurlarly after fertiliser appplication. Rake out or scarify the dead moss which you treated with sulphate of iron last month. 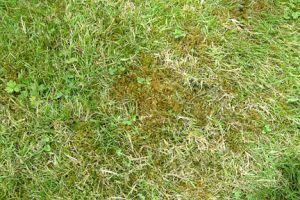 Overseed those bare pathches.April is an excellent time to sow a new lawn. Sow the new lawn on well prepared ground. It will pay off in the long term. Beware of late frosts in april. Keep vulnerable plants and new shoots protected at night if frost is forecast. Dont be tempted to put out tender bedding until much later in the month and even then be prepared to cover them at night. Slugs and snails will soon start to appear as the days get warmer. Beware!